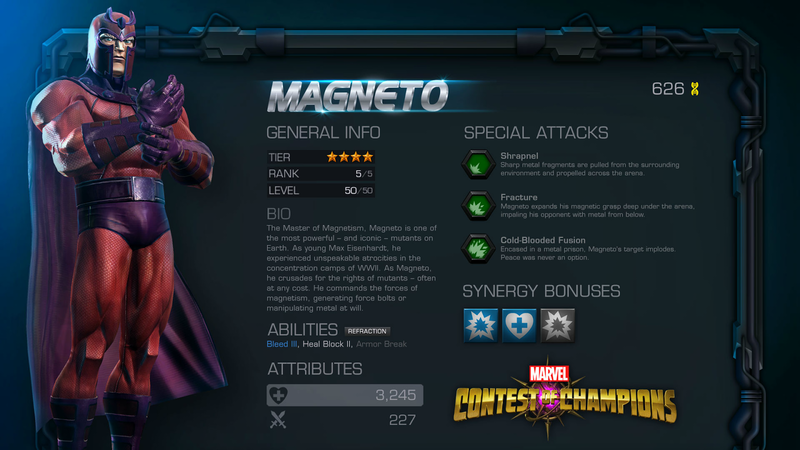 The Master of Magnetism, Magneto has entered the contest to avenge mutant brethren on Marvel Contest of Champions. You can compete to win Magneto through the Magnetic Resistance or Mutant Revolution Arenas on their own, or work with their alliances in the Brotherhood Arena. You can also try winning him through the Ultra Magnetic Crystal.